Nashville, TN -- The Americana Music Association announced nine incoming directors as a result of the annual elections for their Board of Directors. These individuals will each serve a two-year term, from 2012-2013. The results reflect the rising influence and characteristics of the Americana genre itself; Independent, entrepreneurial and progressive. The Americana community has been at the forefront of the industry landscape shift buoyed by constant touring and grassroots fan development. 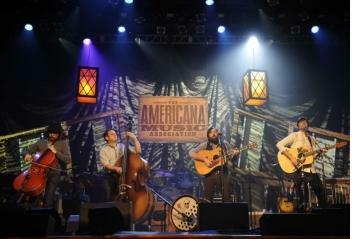 Additionally, the emphasis of promoting the community to a broader audience beyond traditional industry methods has the Americana Music Association poised for more profound breakthroughs, as the genre segues into a new year boasting an Americana Grammy award category and a genre definition in Merriam Webster's dictionary. Nashville, TN -- The Americana Music Association has chosen September 12-15, 2012 for their annual Festival & Conference, which will take place once again in Nashville, Tennessee. The announcement comes on the heels of the not for profit music association's most successful and critically acclaimed event ever. The Americana Honors & Awards show is, according to the Wall Street Journal, "a night in which singers who can sing, players who can play, and writers who can write came together to acknowledge their debt to great, unfettered American music and renew their pledge to take it forward with honesty and integrity." Nashville, TN -- Call it a Music City Roots Revival, as The Americana Music Association spreads its musical message throughout Nashville with cool open to the public special events during the 12th annual Festival and Conference presented by Nissan. For conference attendees it's icing on the cake, and for those new to the Americana scene it's the perfect way to dip your toes in the genre's water and discover why Southern Living calls this "..the Best Music Festival in Nashville." Nashville, TN -- The Americana Music Association is pleased to announce the first group of industry participants for the 12th annual Americana Music Festival and Conference, presented by Nissan, October 12-15, in Nashville, Tennessee. Focusing on all facets of the evolving business of music - from high tech to grassroots - attendees will get a chance to listen, learn and engage with trend-setters and trailblazers. 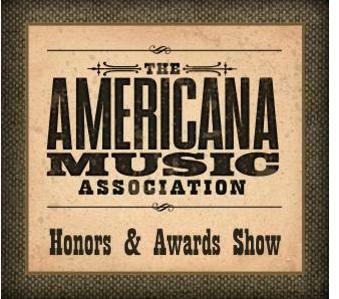 Nashville, TN -- The 10th annual Americana Music Association's Honors and Award Show at the Ryman Auditorium will be broadcast live Thursday October 13th on Nashville Public Television (NPT Channel 8) to the Middle Tennessee viewing area. Confirmed to attend include Jim Lauderdale, Robert Plant, Lucinda Williams, Gregg Allman, Elizabeth Cook, Hayes Carll, The Secret Sisters, Justin Townes Earle, Jessica Lea Mayfield, The Civil Wars and many more. Nashville, TN -- Merriam-Webster announced today, as reported by the Associated Press, the inclusion of the musical definition of the word Americana to its Collegiate Dictionary. Americana joins Tweet, m-commerce and around 100 other words whose use is now widely recognized enough to be a part of today's lexicon. According to the dictionary's editors Americana's third definition is "a genre of American music having roots in early folk and country music". Nashville, TN -- Americana music's best and brightest will take over Nashville's coolest venues for the association's October 12-15, 2011, evening festival. More than 100 of the genres' trailblazers and rising stars will perform in the talent packed showcases that draw music lovers from all over the world. Among the first round of artists announced are: Gurf Morlix, Foster & Lloyd, JD Souther, Will Hoge, Elizabeth Cook, Marty Stuart and Marshall Chapman. They'll be joined by buzz-worthy up and coming acts The Civil Wars, Amy LaVere, The Farewell Drifters, Catherine Britt and The David Mayfield Parade along with others listed below.